It's day 2 of the Electric Challenge! I was challenged to incorporate shades from the Urban Decay Electric Palette into my eye looks for a week, so that's exactly what I'm doing. Check out my Day 1 post for my first look, details on why I'm doing this, and the "rules" :) It's been great seeing lots of your #ElectricChallenge pictures on Instagram! Such incredible talent! For today's look, I chose to work in the vivid orange shade... it's probably the color I was most excited about, and it didn't disappoint when it comes to brightness! This look was actually incredibly simple... hope you like it! The shades from this palette that I used today are Revolt, Slow Burn, and Urban. Revolt is a metallic silver, Slow Burn is a super-saturated orange with a hint of shimmer, and Urban is a metallic purple. Urban practically feels like a cream when you swatch it with your finger. So intense! I primed my lids with a yellow/orange Maybelline Color Tattoo called Fierce & Tangy :) I also used a white shadow stick from Jordana around my inner corner. With a small brush, I patted Slow Burn all over my lid, and I also wedged it into the crease. On top of the base, Slow Burn takes on a purely orange look. With a small blending brush (I love Sigma's E36), I buffed Slow Burn lightly above the crease. Without the base underneath, I see more red coming out of the shadow. I love that subtle color shift. I also used a bare brush to further blend out the color, and applied a sheer amount of a matte cream shadow under the brow. Now for a couple of accents- I used the silver Revlot shade around my inner corner, and slightly upward onto the inner-most part of the lid for an added pop. Then I smudged Urban on my lower lashline. 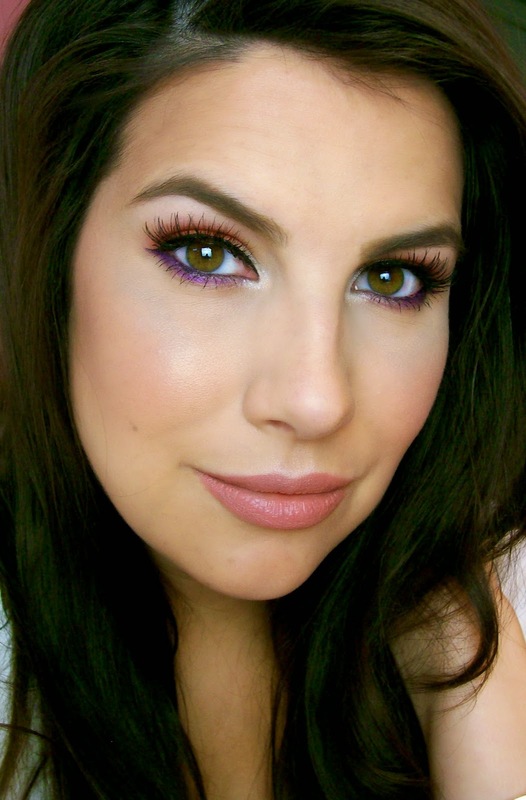 I used liquid liner across my upper lashline, and a plum liner on my lower waterline. I also added a bit more Urban with an angled brush at the outer corner to blend in with the wing. I finished the look with mascara on my upper and lower lashes, as well as a full strip of false eyelashes. I want a Rice Crispy treat. Just one. 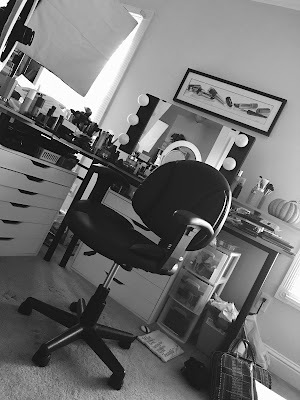 Cupcake is feeling right at home in the new makeup room. Today she barged in (LOL), jumped on the back of my chair while I was shooting a video, and then started walking all over the desk like she used to! Tyler & I spent Saturday taking part in a childbirth class! We learned tons. Also, now I am always keeping a big cup of water with me! The nurses running the class said some crazy-high percentage of pregnant women who come to the hospital with some sort of concern turn out to be dehydrated. Point taken! Last night I had a weird dream about edible eyeshadow. It tasted awesome. As my baby bump continues to grow, Tyler is on belly-button watch. He's always taking note as to whether or not my "innie" belly button has become an "outie". It's not there yet, but I could see it happening any day now! This is such a fun challenge! I love love love the look you created. Woah! Damn that's an electric look! Love it! Wow, that is bright alright! But so pretty! That palette looks so fun. I wish I could pick it up but I have incredibly sensitive eyes. Darn. Btw - I noticed you addressed a few comments regarding the melasma your experiencing during your pregnancy. I have melasma as well, though not pregnancy-related, but would LOVE a video about how to cover it, any work arounds, tips, etc. Also, it would be nice to see comments about others who have it and what they do. It's good to hear from people going through the same thing! Em, honestly, we love you so much that we'd love to hear you talk about any subject! 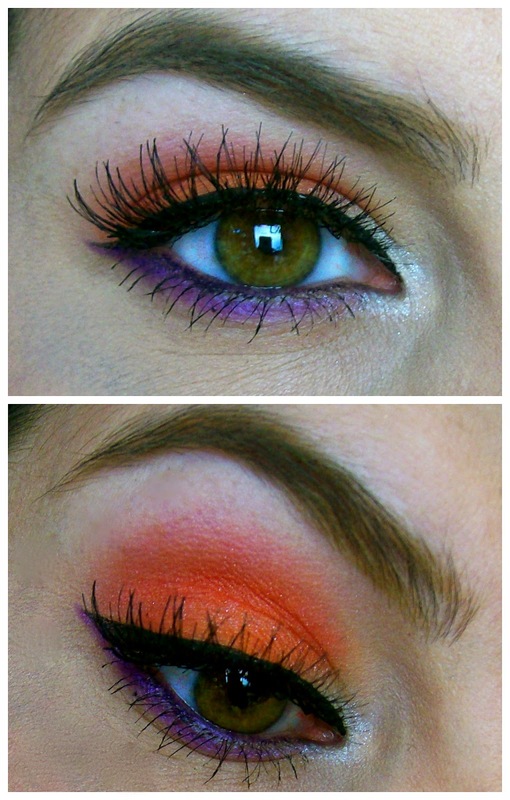 wow, that orange-y coral eyeshadow doesn't mess around! It looks awesome. I love this look so much, Emily! Loving the challenge too! crap. I'm so sorry! I took it out & maybe I'll spare another person. I love it! 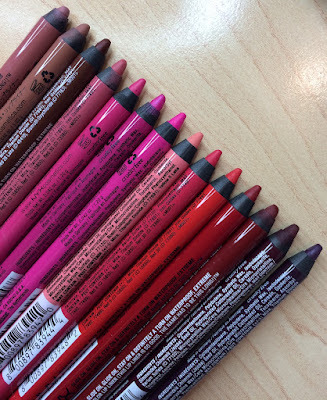 But I want to point out that urban decay says on their website- (WARNING: Slowburn, Savage, Jilted and Urban contain a colorant that is not approved for the eye area in the US, Canada and Brazil.) this was found under the product description for the electric pallet. Just trying to warn those with sensitive eyes! You wonder why they would use colors not approved for eyes in an EYEshadow palette! That's just crazy. It's also good to know because I have very sensitive eyes. As a matter of fact, I use mostly natural/organic eye makeup and even that sometimes irritates my eyes. I absolutely cannot use anything in my water line or my eyes water like crazy. Are those colors approved for lips? I bet you could scrape a little off and mix it with a lip balm for an incredibly bold lip look. Oh you look so beautiful! I love the pairing of the orange and purple. They work so well together. 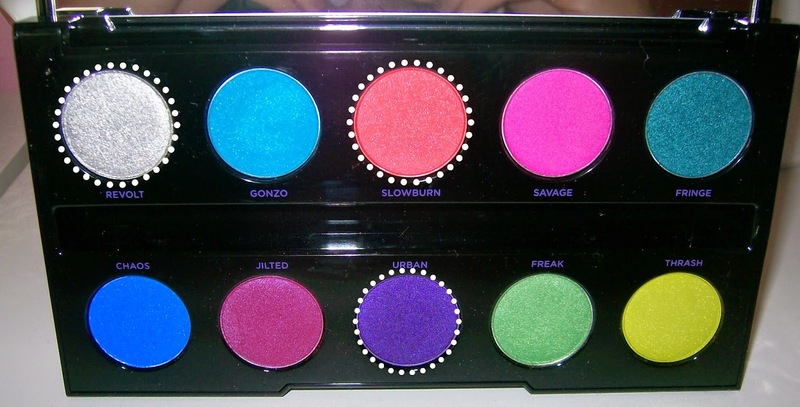 I bought this palette but rarely use it since it isn't very work friendly with the vivid colors. I really need to start pulling this out on the weekends and trying this look. I look fabulous in orange eye shadow. Thought this pallet was way to bright for my taste, but seeing how you work with the colors it just looks so good and not so crazy looking lol. As always, great job Emily! Love this look on you! It does look simple. I really like that look. I haven't used slow burn much since I got the palette. I might try it out! I purchased that same color tattoo because it was on sale for I think around $2. I opened it up and it had that decrepit dryness and the product was all pulled from the sides. I know its only $2 but I was totally disappointed.. Slow burn looks like a vivid red coral on your swatch but its amazing that it mixed with the color tattoo like paint to become that beautiful orange shade! The look, when up close, reminds me of Halloween. Orange and Purple? Yeah haha. But from a far, its fresh looking and different. Love the look on you! Haha! Innie belly buttons don't become outie, they just become "flatie" Mine stretched out flat, but never actually popped out. I attempted to recreate this look this morning, using the Wet n Wild street art palette. I'm so happy I did. I hadn't figured out how to use any of it yet and this look came out great. 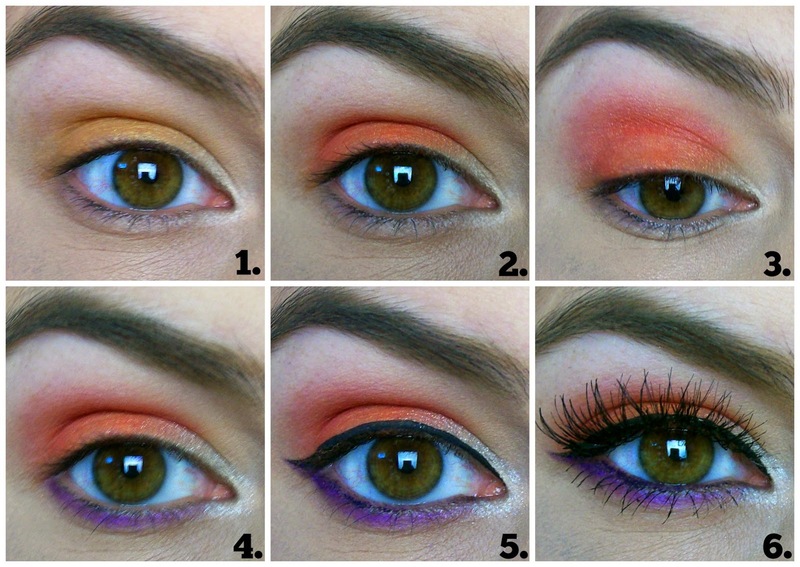 I never would have guessed orange shadow could be so flattering. Thank you for the inspiration and the push to get out of my comfort zone. 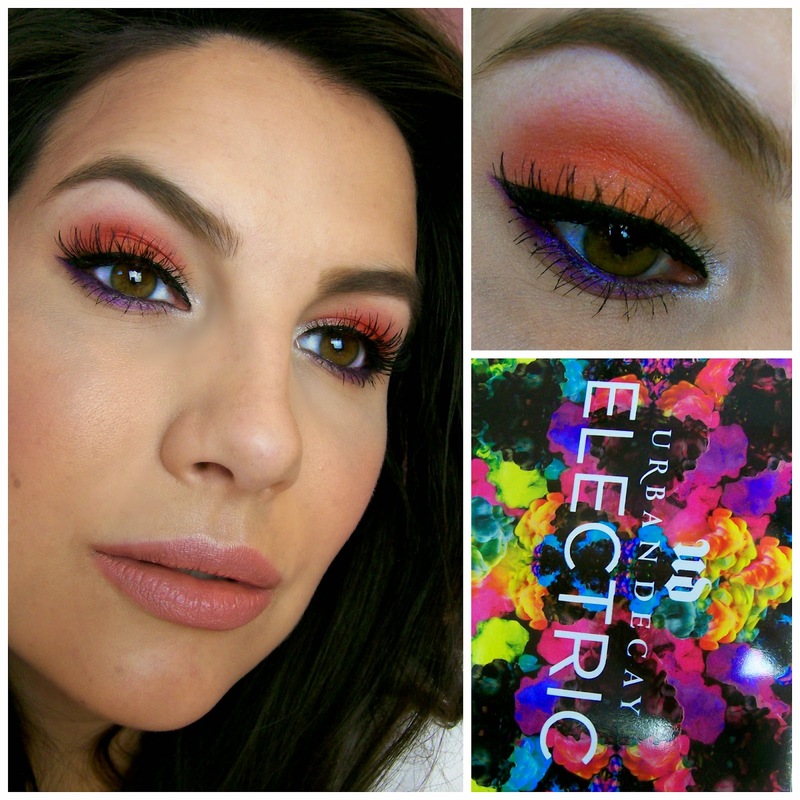 I do not own this palette because I am afraid of so much color but this look is just amazing! I am obsessed with it! Going to recreate it with items I already have. LOVE LOVE LOVE, SUch a great series you did with this! Please do another series with a different palette!